Is Cyberark Software Ltd (CYBR) a Good Stock To Buy? The 700+ hedge funds and money managers tracked by Insider Monkey have already compiled and submitted their 13F filings for the third quarter, which unveil their equity positions as of September 30. We went through these filings, fixed typos and other more significant errors and identified the changes in hedge fund positions. 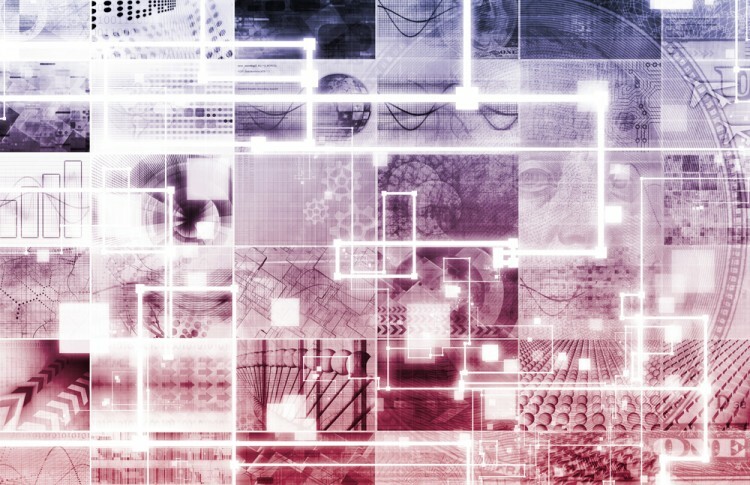 Our extensive review of these public filings is finally over, so this article is set to reveal the smart money sentiment towards Cyberark Software Ltd (NASDAQ:CYBR). Cyberark Software Ltd (NASDAQ:CYBR) has experienced a decrease in enthusiasm from smart money of late. During the third quarter, the number of investors tracked by Insider Monkey long the stock declined by two to 20. However, the level and the change in hedge fund popularity aren’t the only variables you need to analyze to decipher hedge funds’ perspectives. A stock may witness a boost in popularity but it may still be less popular than similarly priced stocks. That’s why at the end of this article we will examine companies such as Diebold Incorporated (NYSE:DBD), Eagle Bancorp, Inc. (NASDAQ:EGBN), and Steelcase Inc. (NYSE:SCS) to gather more data points. Keeping this in mind, we’re going to check out the key action encompassing Cyberark Software Ltd (NASDAQ:CYBR). Heading into the fourth quarter of 2016, a total of 20 of the hedge funds followed by Insider Monkey held long positions in this stock, down by 9% from the previous quarter. 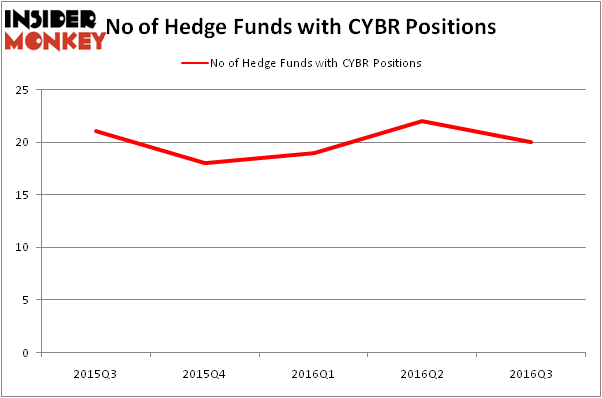 Below, you can check out the change in hedge fund sentiment towards CYBR over the last five quarters. So, let’s find out which hedge funds were among the top holders of the stock and which hedge funds were making big moves. According to publicly available hedge fund and institutional investor holdings data compiled by Insider Monkey, Brookside Capital, led by Bain Capital, holds the number one position in Cyberark Software Ltd (NASDAQ:CYBR). Brookside Capital has a $43.3 million position in the stock, comprising 2.8% of its 13F portfolio. The second most bullish fund is Brian Ashford-Russell and Tim Woolley’s Polar Capital, with a $33.2 million position; the fund has 0.6% of its 13F portfolio invested in the stock. Other peers with similar optimism comprise Ryan Frick and Oliver Evans’s Dorsal Capital Management, Beeneet Kothari’s Tekne Capital Management, and George Soros’ Soros Fund Management. We should note that two of these hedge funds (Dorsal Capital Management and Soros Fund Management) are among our list of the 100 best performing hedge funds which is based on the performance of their 13F long positions in non-microcap stocks.